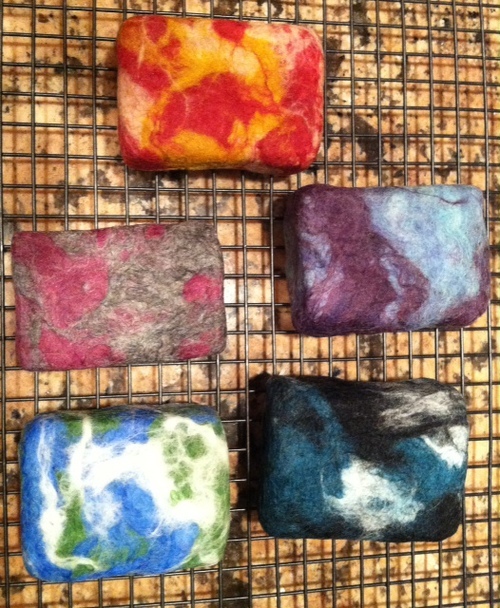 Pricing: $10 per felted soap project, all supplies included. $10 small "resist" felt project, all supplies included. $60 wet felted alpaca scarf, limit 6. 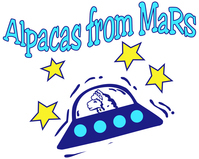 Do you have a group that would enjoy spending time with the alpacas and participating in a fiber arts project? We can provide your private group with an alpaca experience and they can learn first hand what can be done with alpaca fleece. 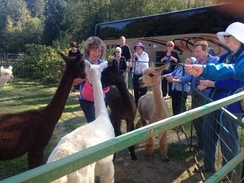 Our tour includes an introduction to alpacas, a tutorial on how the fleece is processed, and a question and answer session. 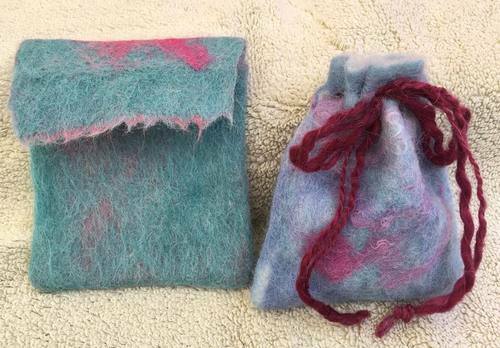 After the introduction, visitors receive instruction and materials to complete their own felted project to take home. Contact us to schedule your visit and for more details. Other projects available depending on age and abilities. Picnic tables available. Guests are welcome to bring party supplies including birthday cakes and other snacks. Our activities are best suited for those age 5 and up. 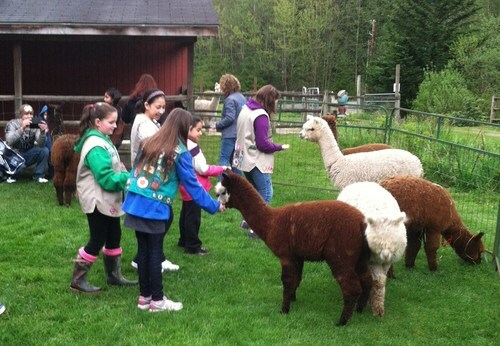 Activities available during open farm hours and by appointment: Thursday afternoons, Fridays, and Weekends. We are closed on Monday, Tuesday, and Wednesday. Since this involves some outdoor time, group tours are available April 4th through September 30th. Porta potty on site April -September, no other restroom facilities are provided.